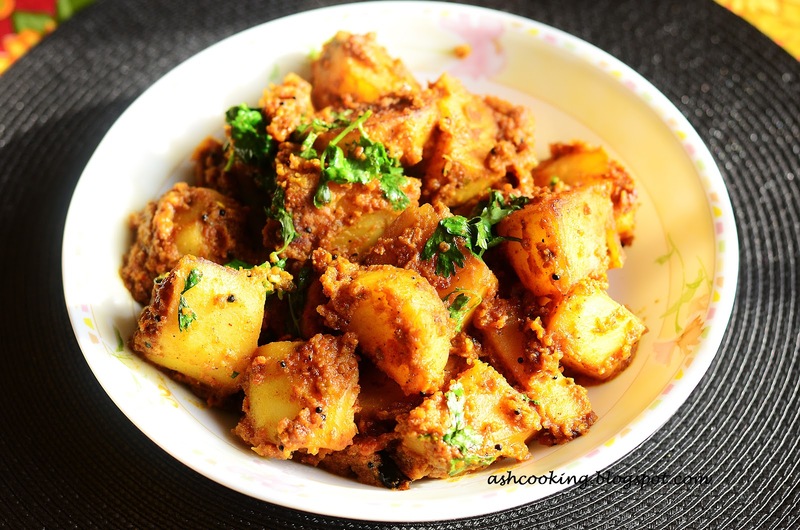 Shahi Dum Aloo is an exotic aloo dum preparation that complements puri, luchi, paratha and even naan nicely. Today being Dashami (the final day of Durga Puja when the idol of goddess Durga is immersed in water) calls for an appetizing meal in token of festive celebration. So I thought of preparing a selection of Debu's (my hubby) favourite dishes, one of them being Shahi Dum Aloo, which if prepared rightly will leave anyone licking his fingers. 1) Heat oil in a wok and fry the potato cubes till they turn slightly golden. 2) Keep the potatoes aside. Now add mustard seeds and dry red chillies into the smoking hot oil. When they begin to sputter, add onion, tomato paste and green chilli paste. Fry till they turn darker in color. Then add the raisin paste. Sauté for around 1 minute. Add ginger paste, yogurt and all the spices and sauté again for 10 minutes. 4) When the gravy is well sautéed, add the fried potato cubes into it. Put the lid on and cook on medium heat until potatoes become tender. 6. 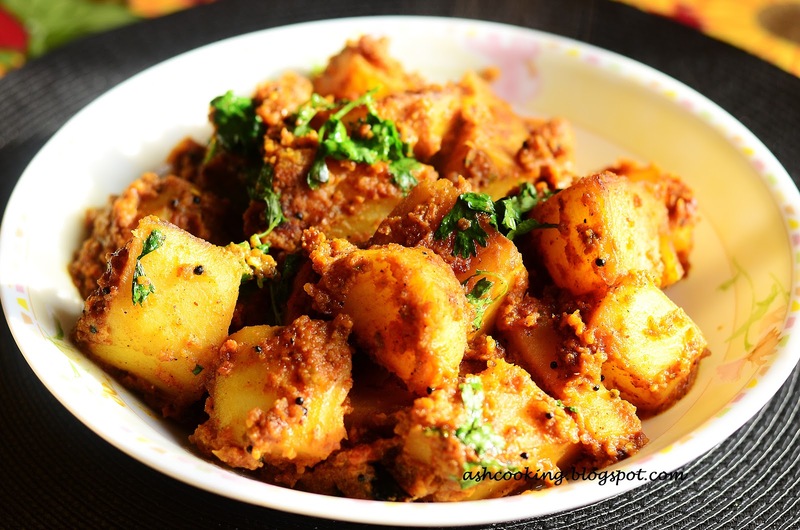 Shahi Aloo Dum is now ready to be served.